1 In 10 Women Have Some Degree Of Thyroid Hormone Deficiency, Are You One Of Them? The thyroid is a small gland located just below the Adam’s Apple. The little butterfly-shaped thyroid gland affects our lives in many significant ways. It’s the body’s control center for metabolic functions of every living cell. It has the ability to overturn mechanisms of daily life, producing profound changes. Thyroid diseases cause restlessness, fatigue, and weight change. It mostly affects women after pregnancy or menopause. One in every ten women is likely to develop thyroid problems. The thyroid controls menstrual cycles. Hormone imbalances make menstruation very heavy, very light, or irregular. Thyroid disease can halt menstruation cycles for several months or even longer. This causes other glands to be affected like the ovaries and may lead to difficulty in conceiving. Thyroid problems are usually mistaken for symptoms of menopause. The problems develop after menopause in most cases. Thyroid problems during pregnancy stages may affect the health of mother and baby. There is an overall sense of fatigue, listlessness and lack of concentration during the day. When the day closes and it is time to rest at night there are sparks of sleep apnea, insomnia, weakness, and oversleeping! Ever feel cold when nobody else is? Break into night sweats and cannot tolerate the heat or cold? Stand around shivering internally with cold feet? Sometimes excessively perspiring or sometimes a lack of perspiration? A sense of diminished reflexes when everything is on a go slow, also affects speech. Chronic illness with a bout of frequent infections. Low immune systems coupled with regular colds and flu. Bronchitis susceptibility and infections that recurrently occur. Thickened skin around the eyes, face, lips, hands and neck, arms legs and feet. A sensation of a lump in the throat, difficult to swallow with pressure on the throat. Difficulty breathing, sore or burning throat sensation. Pain and tenderness in the thyroid area. Swollen gums, a craving for salty or sweet foods. A constant urge to urinate, urinary tract infections, kidney infections, bladder syndromes. Internal itching, scaly ear canal, oversensitive in hearing and excess of earwax. Poor focus with double vision, eyes that ache, blurred vision drooping eyelids, dark rings or puffiness. Thinning, brittle, or premature gray hair. Soft, pale, brittle, or ingrown nails. Dry, itchy skin, boils, and pale skin with rashes or skin tags and eczema and rashes. Migraines, chronic headaches, and wrist pain. Muscle cramps and joint pain. Constipation coupled with hemorrhoids, lack of appetite, food sensitivity and allergies, lactose intolerance. Irritable bowel syndrome. Mood swings, resentment, no confidence, irritation and nervousness, depression and obsessive behavior. Common causes of hypothyroidism are thyroid gland inflammation leaving the gland damaged, Autoimmune Thyroiditis, and Hashimoto Thyroiditis. Another cause is medical treatments. This may warrant the surgical removal of a thyroid gland portion and the patient develops hypothyroidism eventually. 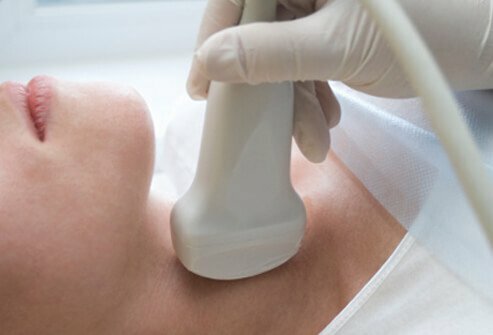 Other thyroid conditions like Goiters treated with radioactive iodine may result in hypothyroidism. There are several other causes, and one of them is environmental factors. It is best to keep the be aware of toxins present in various products and keep the living environment free from toxins. Potassium perchlorate is present in automobile airbags and fireworks. It inhibits the iodine uptake by the thyroid gland and contaminates water. Cigarette smoke has a similar effect. Studies have indicated that chemicals in pesticides contribute to thyroid hormone disorders. There is controversy regarding soy products. Research has indicated that they affect thyroid hormones. Bisphenol A in plastics, food-can coating and dental sealant antagonizes thyroid hormones. It is possible to get back on track smoothly living a full life with medication to treat the condition of hypothyroidism following a healthy lifestyle by incorporating a nutritious diet with moderate exercise to manage hypothyroidism. Remove intake of gluten from diet. Selenium is a health essential that can be found in Brazil nuts. Omega 3 fatty acids are essential for thyroid functioning. Get enough sunlight to optimize Vitamin D.
Spinach, kale, swiss chard, carrots, and sweet potatoes are rich in vitamin A.
Filter drinking water from harmful chemicals that block iodine. Work on stress levels with prayer, meditation, deep breathing, and gratitude. Detox on a regular basis with a sauna or Epsom salt baths.